Softwashing is an alternative method to the traditional approach of pressure washing exterior surfaces. Some surfaces require a gentler approach to the pressure washing technique otherwise those surfaces can be easily damaged in the process. Softwashing avoids causing any damage to your property by cleaning at a lower pressure after the application of cleaning solutions. In recent years, Softwashing has become a more popular and safe way to clean your commercial property without causing damage to property whilst still providing excellent results. At Supreme Softwash, we use the latest in Softwashing equipment and all our staff are fully trained in the safe application of cleaning solutions and best practices when using our equipment to clean your hard surfaces. We are able to clean your render, brickwork, cladding and roofing so that they look almost new again, making sure your property has ‘kerb appeal’ to any potential visitors. At Supreme Softwash we are able to clean both residential and commercial roofs. Poorly maintained roofs are susceptible to causing moss to flourish and separate your roof tiles, allowing water to seep through between the tiles and as a result, put stresses on the structure of your roof as well as allowing damp to easily set in. The roof to your property will look unsightly unless it has been well maintained over the years. This is where we come in. Our Softwash team will take care of your residential or commercial roof and will remove all moss, lichen and algae growth to restore the roof to your property back to its former glory. Our Softwashing team in Wales are ready to take your call. We are easily contactable on our head office number 0800 035 4142. If you would prefer to drop us a message then simply fill in our online contact form and one of the team will get right back to you. Your commercial building can speak volumes about you and your business. Keeping it well maintained can be to the benefit of your company. The first impression your visitors often get of you are when they arrive at your office, warehouse or any other premises you may have. Presentation is everything and we are here to help with all your exterior cleaning requirements. Over the years we have built up a fantastic reputation for Softwashing the exterior walls of buildings throughout the UK. Our staff are fully trained in all aspects of building cleaning and Softwashing. We use a variety of equipment when render cleaning and pressure washing including reach and wash systems and reach access vehicles. Our team of Softwashing specialists work to safety standards at all times and get the job done with the minimum of fuss and disruption to our customers. Render can start to look dirty and unsightly after a while due to the build-up of algae and other organic matter and city pollutants. Even relatively new render can start to look old, grey and discoloured due to black algae growing on the walls, giving the appearance of several years of built up soiling. At Supreme Softwash we are able to completely remove any sign of algae and other organic matter growth as well as stains from pollutants within the air. We have a highly trained team of Softwashing specialists with expert knowledge and years of experience in the cleaning of rendered building and walls. We apply a Softwashing solution to rendered facades, which gets to work quickly on all the organic matter. We allow the Softwash solution to dwell long enough in order to destroy any algae spores, then gently rinse off the render, completely removing the dead algae and any unsightly staining that it may have caused over time. K-rend, sometimes referred to as silicone coloured render, is a form of coloured render that is used on many buildings throughout the UK. Due to the damp climate within the United Kingdom, K-rend rendered buildings can become dirty and grubby looking over time. Algae and other organic matter will gradually cling to your K-rend and spread across your K-rend rendered building exterior. Are you looking for the best K-rend render cleaning company in Wales? If the answer is yes, then you have come to the right place. We have to equipment, experience and expertise to bring your rendered building back to life. Our fully trained staff always work to safety standards and will clean your building render with the minimum of fuss and disruption to your business. Give us a call today on 0800 035 4142 or simply fill in our online contact form and we will get right back to you. 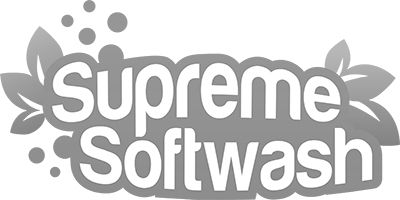 Supreme Softwash are on of the UK’s leading Softwashing companies. 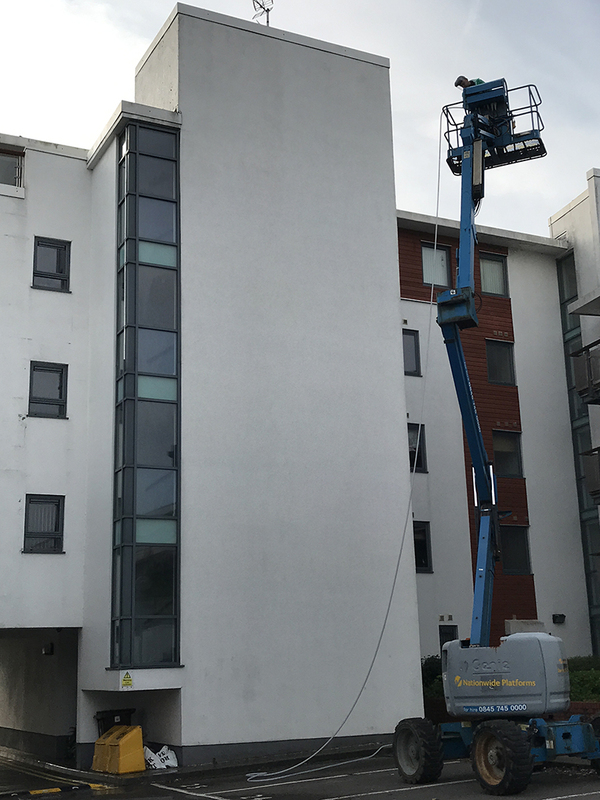 Operating from within Cardiff, Wales, we are able to Softwash buildings and other exterior hard surfaces throughout Cardiff, Wales and the whole of the United Kingdom.